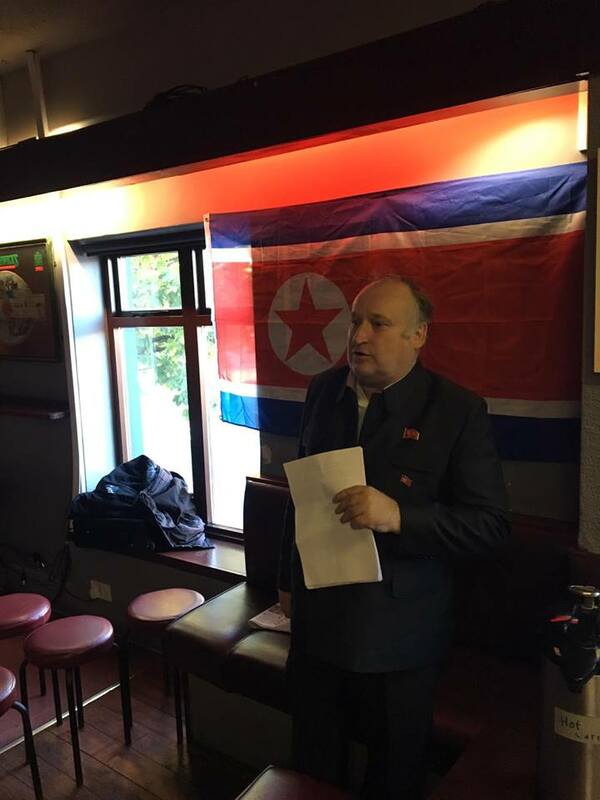 Dermot Hudson chairman of the UK Korean Friendship Association addressed a meeting of the Korean Friendship Association Ireland in Belfast City on the 28th of October . 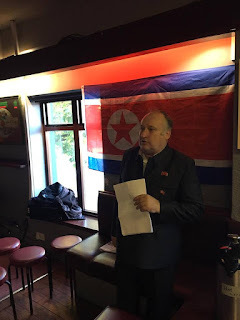 Dermot Hudson gave an account of the recent visit to the Democratic People's Republic of Korea in September for the 70th anniversary of the foundation of the DPRK , explaining in detail the achievements of Juche socialism as seen through reality .saying that ". Looking out of the bus window I saw green lush fields . Before our visit the imperialist media have propagandised about drought , "crop failure' , 'famine' and 'mass starvation ' etc but it looked like an abundant harvest to me . During the visit as on my 14 previous visits I saw no homeless people on the streets , no one begging , no drug addicts or alcoholics or gang violence . Some of the delegation pointed out that there are no lumpens in Pyongyang and that the DPRK is a very disciplined society "
He also spoke about the 73rd anniverary of the foundation of the Workers Party of Korea and the 92nd anniversary of the Down With Imperialism Union . Dr Hudson pointed out the WPK is behind all the achivements of the DPRK and has successfully led the revolution and construction in Korea over seven decades of revolution and construction ." The Workers' Party of Korea has staunchly fought against modern revisionism , opportunism , flunkeyism ,dogmatism and factionalism . 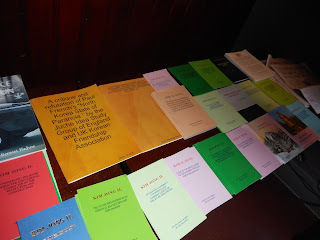 The WPK upheld socialist principles in the 1990s when socialism was frustrated in number of countries due to the insidious moves of the imperialists and renegades. The WPK has always maintained revolutionary and class principles, holding high the red flag of socialism even when others threw it down"
The meeting had a young audience . There were questions about Korean reunificaiton and the role of US imperialism in Korea , also been the future of a reunified Korea and what shape it would take . Inevitably comparsions were made between Korea's division and the division of Ireland and the role of outside forces in dividing countries.